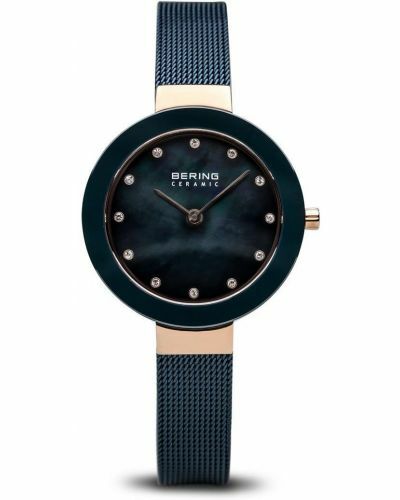 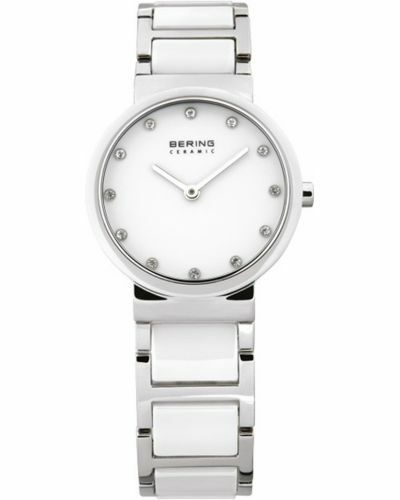 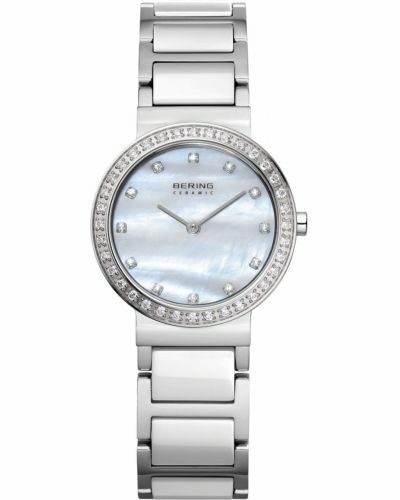 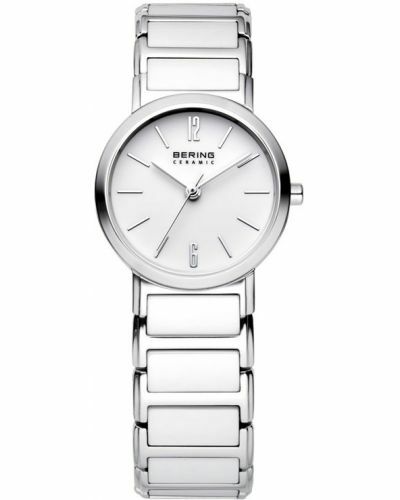 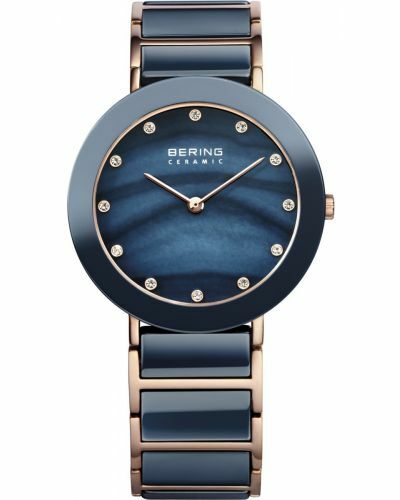 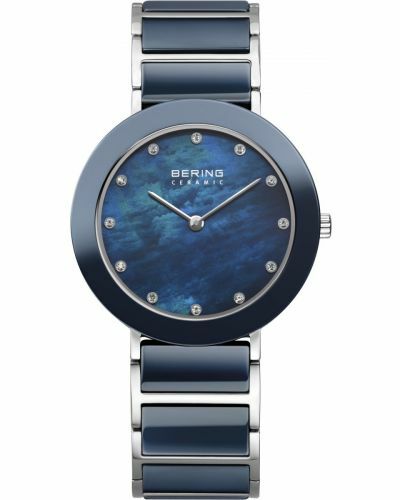 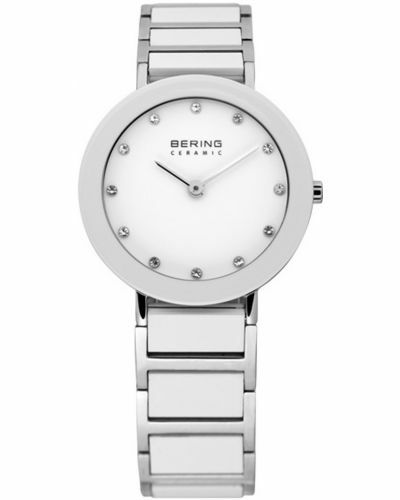 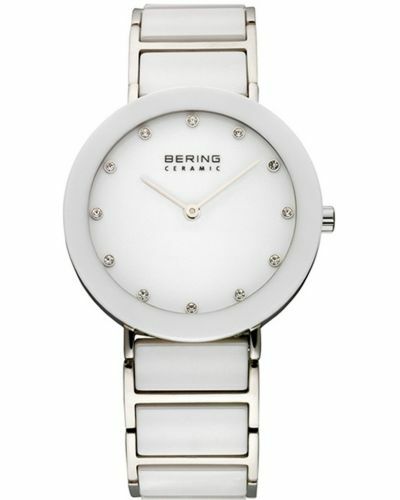 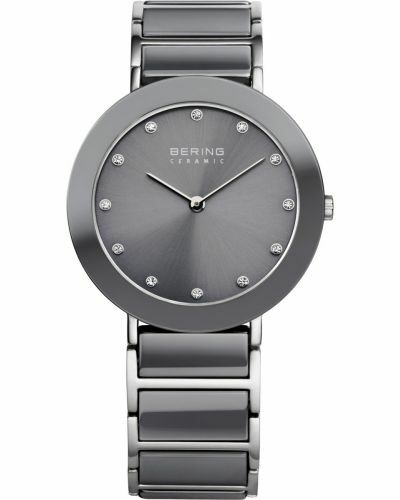 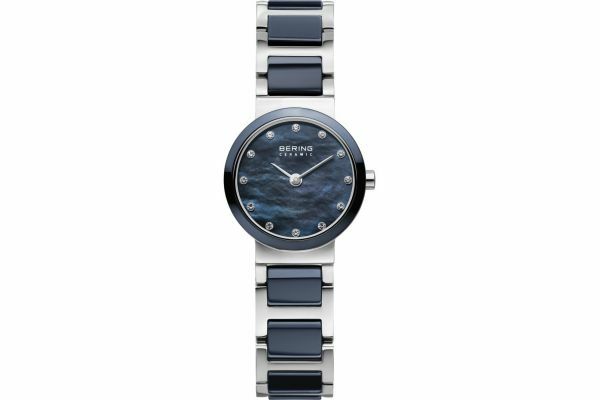 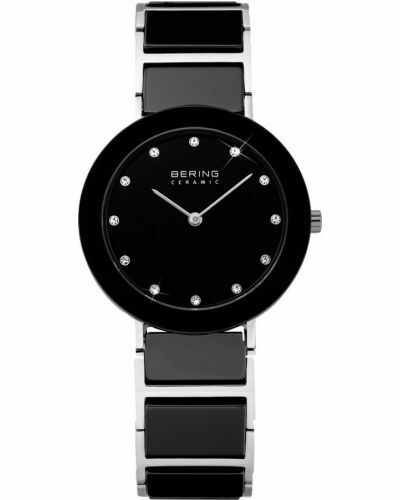 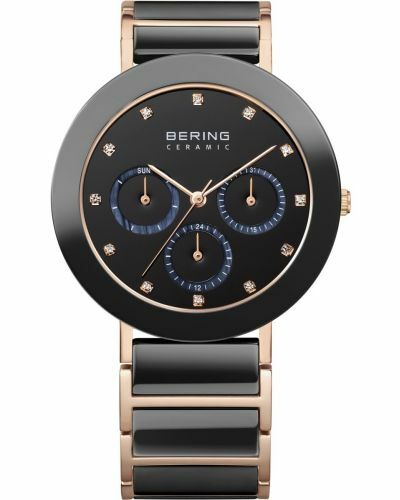 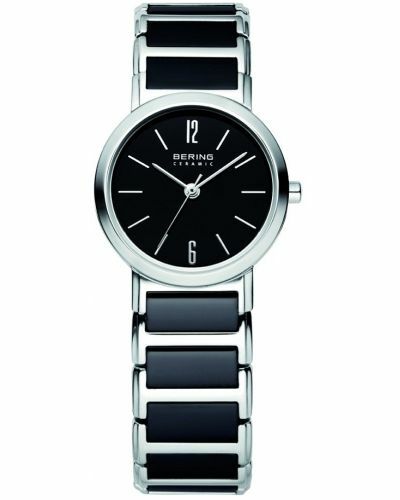 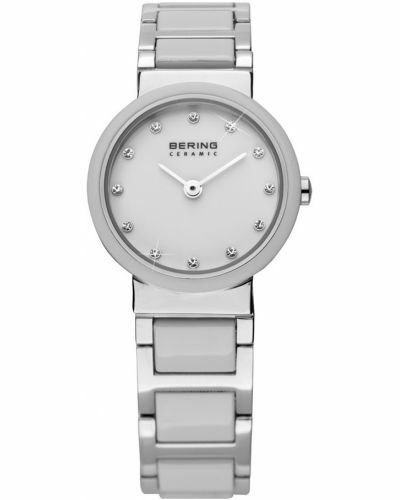 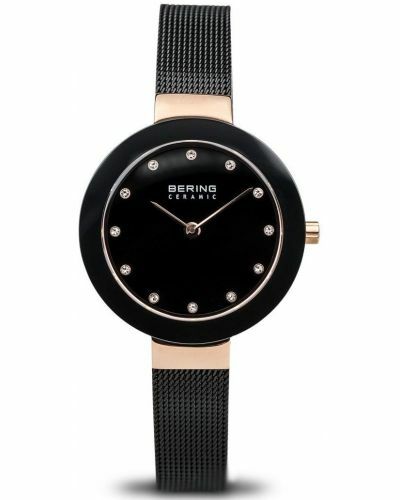 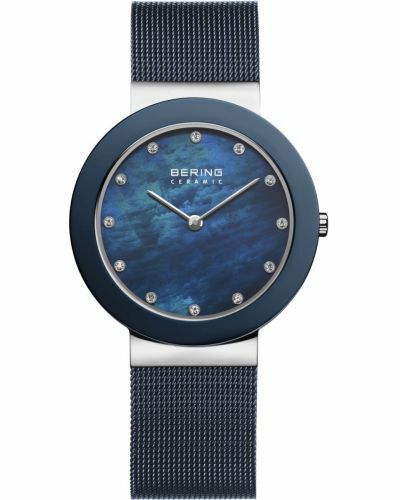 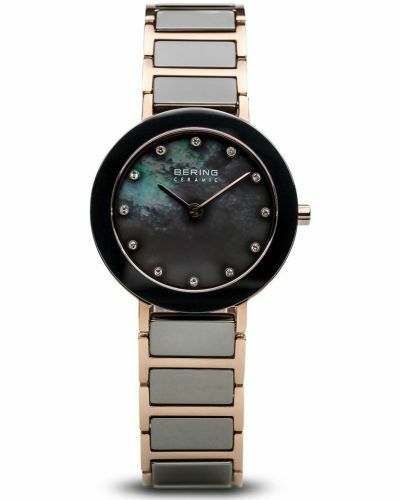 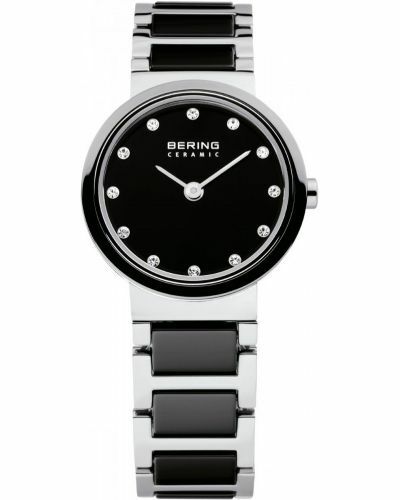 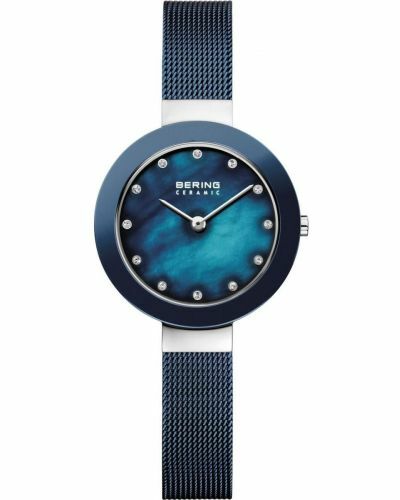 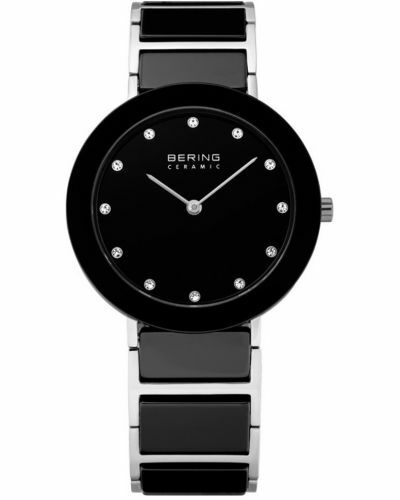 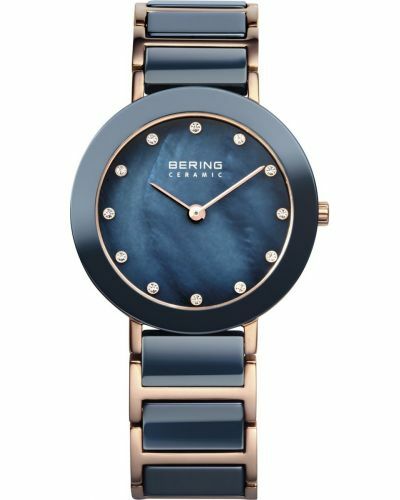 Women's Bering stainless steel dress watch with a round polished case and blue ceramic bezel. 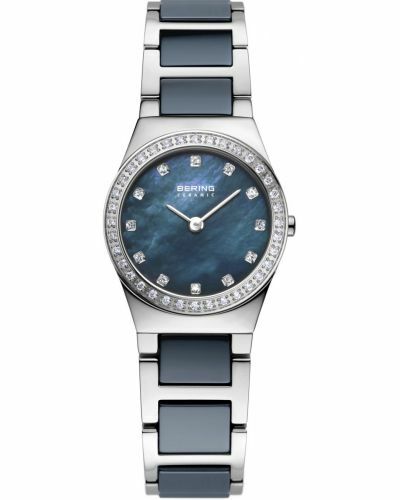 Has a beautiful blue Mother of Pearl dial with polished silver hands and stunning swarovski set indexes. 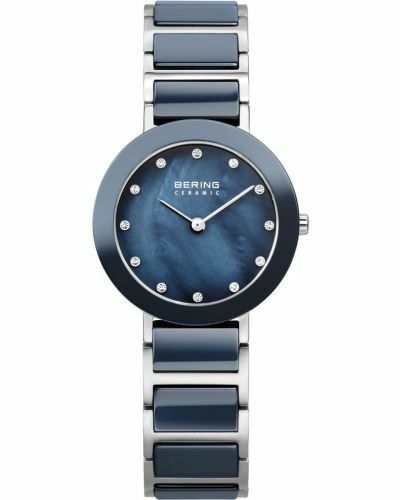 Features a polished stainless steel bracelet with shiny blue ceramic links. 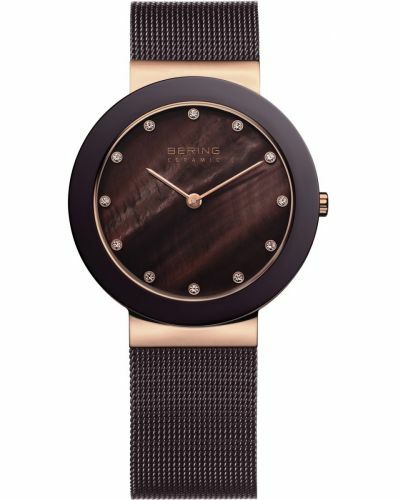 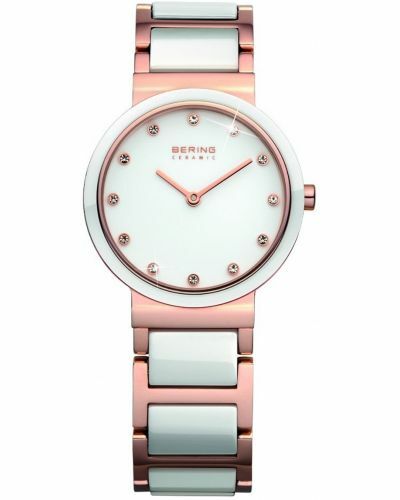 Powered by a quartz movement and comes with the Bering 3 year guarantee.